It was a devastating winter for beekeepers in the Northeast of the United States this year. 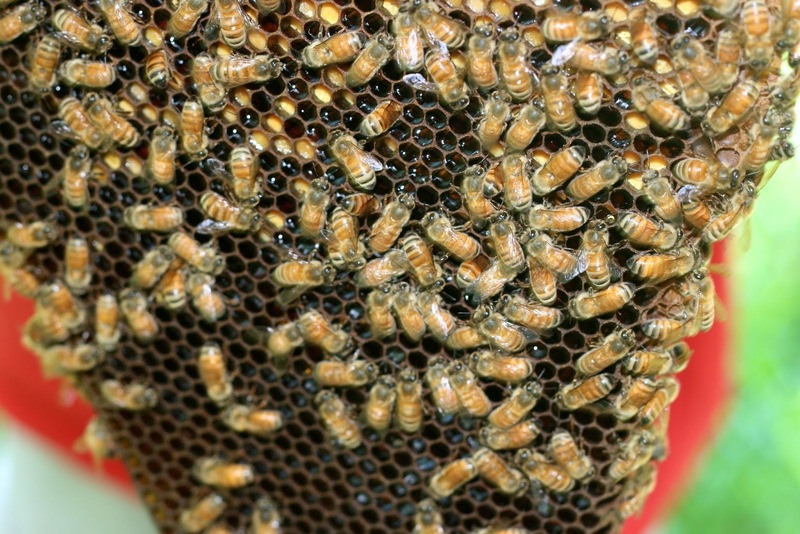 Reports of loss of 90 to 100% of hives was not uncommon. My heart goes out to the people who keep bees for a living. Checking on the new hive. 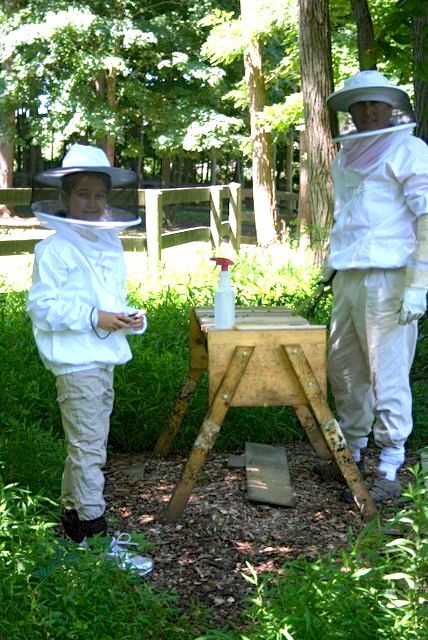 Our family are backyard beekeepers who are involved in beekeeping to help the environment, because worldwide bee populations are declining which is dangerous because without pollinators like bees around plants will not flower and fruits will not grow. We also are allergy sufferers and eating local raw honey seems to help relieve our allergies. It is also really wonderful to be able to make our own candles from beeswax, which we have needed more and more often with the power losses we have be having from hurricanes and other storms. Feeding the bees sugar water. Back to the bees... we lost all of our hives this winter. Most beekeepers in the area are speculating that it wasn't colony collapse that killed the bees this winter but Varroa mites. It is hard to say for sure, but the loss was unprecedented. 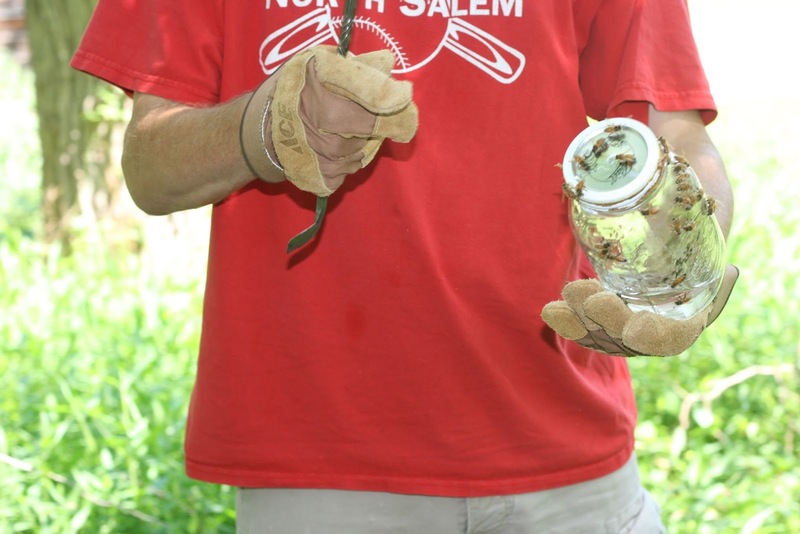 We have been fortunate this summer to have caught a wild swarm that seems quite healthy. 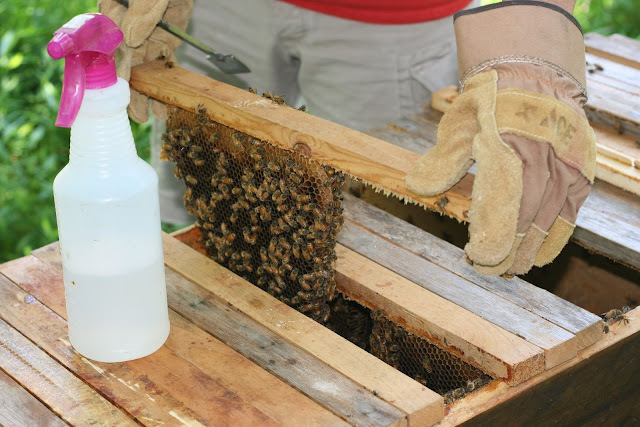 We have used it to repopulate two of our hives, so the Balches are hoping to have honey this coming Spring. Our first year with hives, we were in suburban RI; we harvested just over 100 pounds of honey, no swarms and successfully wintered over 3 out of our 5 hives....then we moved to Northern Maine. The springs were so knee-jerk - we chased our swarms around the woods with bedsheets and smokers, for several weeks trying to catch them. We were borderline mad...."is that a swarm I hear?" was our mentality/mantra! Then, once they were all settled for the year with enough honey to winter over, bears would bust open the hived mid February for a sweet treat. Never could winter over in the northwoods. How lucky you were to catch a wild swarm!! Maybe they were descendants of my unruly bees!! So your not keeping bees any more? It is amazing how a different location can be such a different experience. I think mites more than pesticides (a big cause of large beekeeping operations who pollinate farms) are our problem and we don't want to chemically treat for them because we want to keep our honey organic.